It's been forever since the old school group got together. They last left off trapped in a dungeon by a demon, attempting to rescue a witch. Sound familiar? After reading a few blogs detailing peoples home campaigns, I think I may spend some time and effort and work on detailing our old school world. Mostly for the sake of writing, and archiving for future use. As well for coming up with a few new ideas! 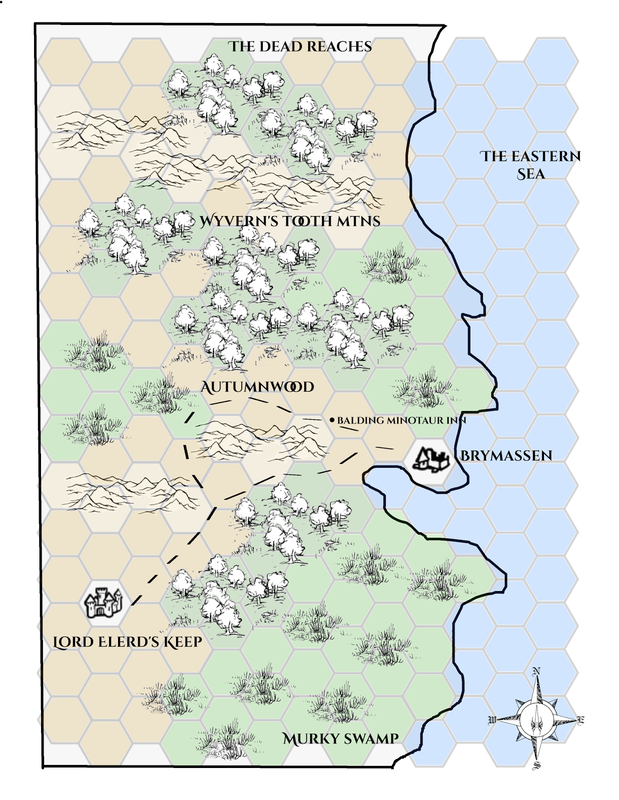 When we started the game we played thru "Beneath Brymassen" a BFRPG adventure. After that the players did my "Lizardmen of Illzathatch" and "Tomb of Gardag The Strange". The story arc I wrote detailed an invading hobgoblin army from the north, with world ending consequences on their minds. I briefly wrote a post about Elerd's Keep here. The rest of the play reports can be found here. 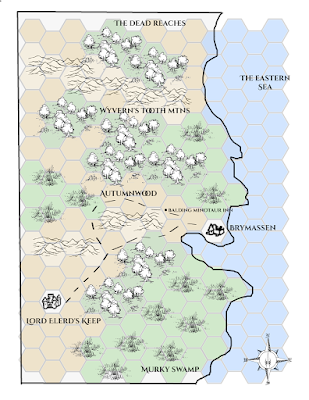 While this is a nice map, I think I may create a hexcrawl version of it.